Coop.dk has its distribution centre and warehouse in Odense from where the company ships its products to all of Denmark. 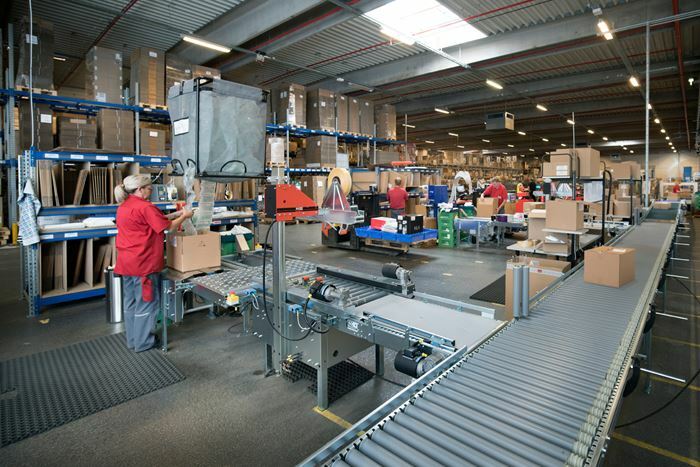 Coop.dk has a strong focus on ergonomics and proper work postures in its packaging department. Repetitive work and numerous lifting motions constitute a big part of everyday life in a packaging department. To counteract this, the company introduced work routine rotation, among others, to avoid that any employee palletises more than two hours. Also, there are various aids in the form of lifting tools etc. to further alleviate the work burden. 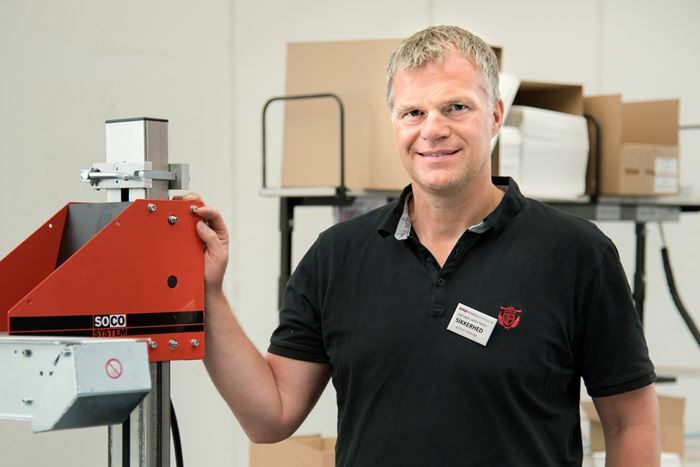 “Switching from handheld tape dispensers to carton sealers resulted in improved ergonomics and a 20-30% capacity increase,” tells Keld Duevang, head of department at Coop.dk. The packaging line consists of three 2-person packaging stations complete with packaging tables to facilitate case erecting, closure of the bottom flaps, and fixing of the case during filling. Ball tables enable easy insertion of filled cases into the case sealer, which automatically adapts to the size of the box and seals it at top and bottom with tape. The sealed case is then led onto a driven roller conveyor, after which the cases from the three packaging stations are accumulated and collected for palletising. The packaging line consists of standard modules from the extensive SOCO SYSTEM range; they can be expanded, moved, and adjusted in response to changes in the production environment. The SOCO SYSTEM products are ideal for web shops and are stocked to meet different packaging needs and solutions.